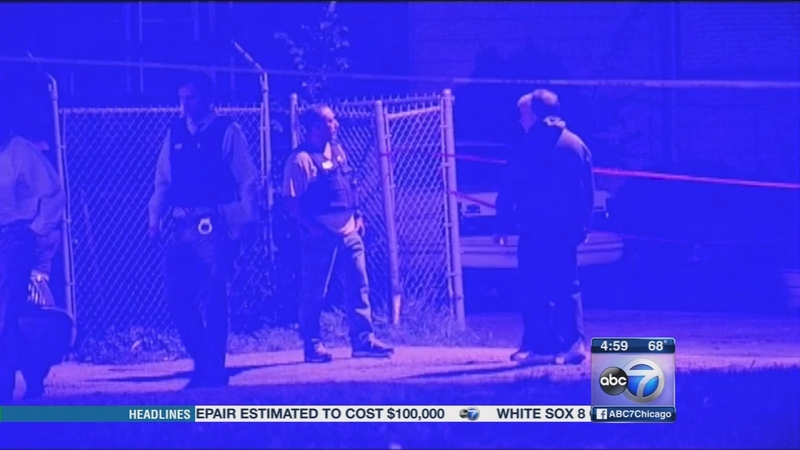 CHICAGO (WLS) -- A man who was shot by Chicago police after allegedly pointing a gun at officers and later found hiding under a bed after a foot chase was charged with three felonies. Pares Harrington, 22, was charged with aggravated assault of a peace officer with a weapon, being an armed habitual criminal and criminal trespass to a residence. Area North Gang Enforcement officers were on a gang suppression mission in the 1000-block North Laramie Avenue around 9:40 p.m. Monday when police said they saw Harrington walk up to their vehicle. After the officers announced they were police and got out to talk to Harrington, authorities said he took off. The officers chased him into an alley, where he tripped and fell. Police said after a gun fell from his waistband, Harrington picked it up and pointed it at them. An officer shot him in the arm. Officials said he got up and took off again. He got into an apartment building through an open window. Police said officers found him hiding under a bed. Harrington was arrested and taken to the hospital. His injuries were not considered life-threatening. No officers were hurt. Police recovered a weapon from the scene. The Independent Police Review Authority is investigating the shooting. Harrington, of the 4800-block of West Wabansia Avenue, is due in bond court on Wednesday.